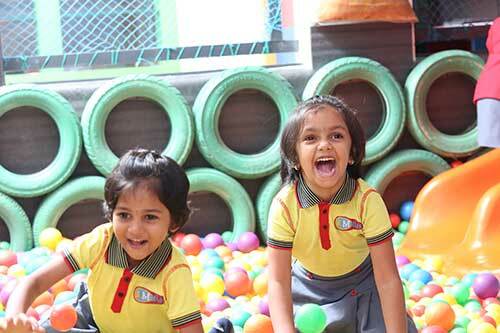 India’s first International Kindergarten Chain. Concept and inquiry driven curriculum. Blend of Montessori & IB Pedagogy. Unique & Extraordinary facilities in the classroom. “Welcome to M Kids. 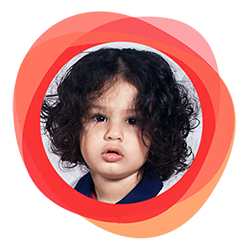 We hope this website will guide you through our Philosophy, Curriculum and Methodology and help you in making the right choice to choose the best Kindergarten Program for your child. 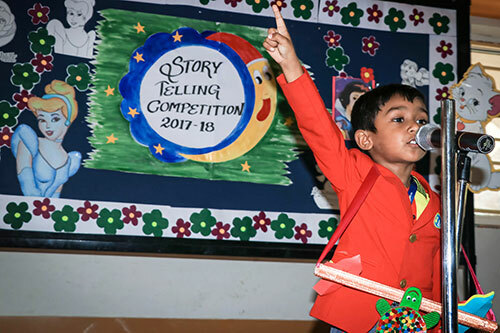 A blend of IB pedagogy and Montessori approach which makes youngest become happy and confident learners who succeed in gradually entering the realm of letters and numbers. 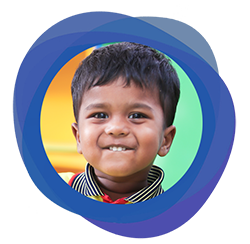 This program focuses on Meta cognition, Language and Phonics development, Physical Development, Personal, Social and Emotional skills Development and Imagination. 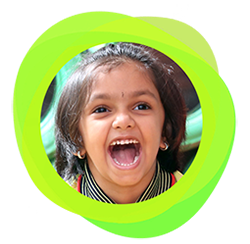 M Kids values each child as strong, capable and resilient; rich with wonder and knowledge and aims to keep their development at the center of its philosophy. 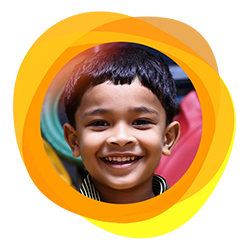 M Kids values each child as strong, capable and resilient; rich with wonder and knowledge. Our approach to teaching young children puts the natural development of children as well as the close relationships that they share with their environment at the center of its philosophy. We also see technology as a natural tool in the learning process that supports and enhances the curriculum. Using Montessori materials is another medium to investigate, plan, control, create, publish, present, evaluate and reflect on learning to a variety of audiences face to face. 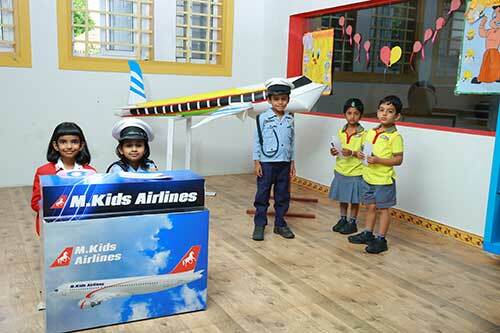 M.Kids has established over the years that it successfully offers broad and balanced education, i.e.academic, artistic, practical and physical, which accentuates and accelerates our vision in students exploring their interests limitlessly during their formative years. 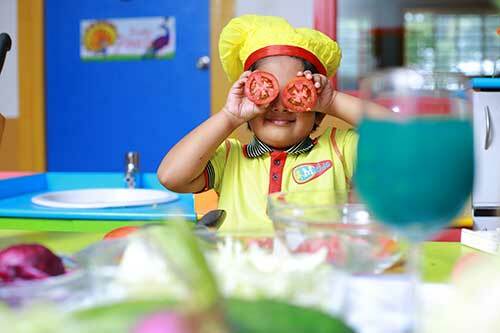 Everyone at Mkids is always occupied with meaningful and fruitful activity. Jolly Phonics is a fun and child centered approach to teaching literacy through synthetic phonics. 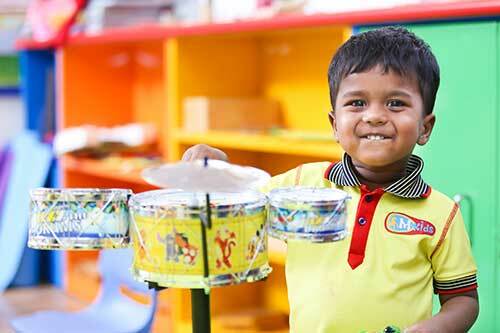 It is a multi-sensory method of teaching sounds to kids. It enables children to build words and read as early as possible. Designing and delivering instructions suited to each child, aiming to meet individual's learner needs. Honors and promotes the development of all seven avenues of intelligence in young children. This approach provides a framework to identify how children learn and build on their strongest asset. refers to a hierarchy of question stems that teachers use to guide their students through the learning process. That brings “real world” meaning to content knowledge and skills. 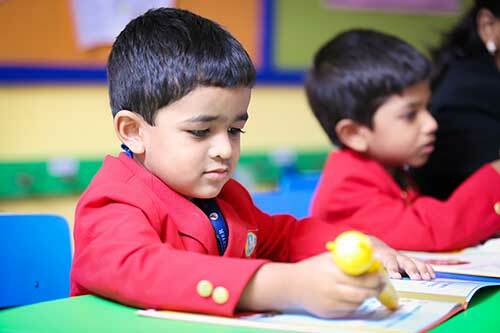 method of education is based on self-directed activity, hands-on learning and collaborative play. 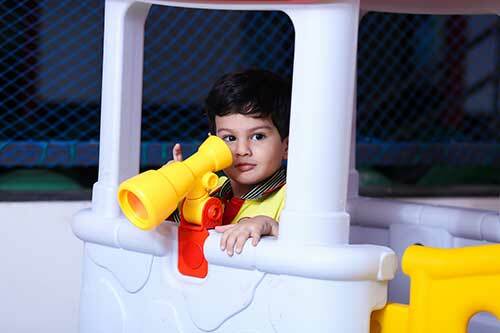 Strengthens the critical thinking skills, observations, concentration and independent thinking. Providing opportunities for kids at an early to acquire and apply in the context of authentic situations. Outdoor physical activities for gross motor development including soccer, basketball,yoga, aerobics, water play and ball games. Connecting different areas of subjects focusing on understanding of the concepts and making the learning engaging, relevant and meaningful. Movement, music, poetry, drama and dramatic play each hold an important place in Kindergartens life. Creative arts engage children across all domains-cognitive, language, social, emotional, and physical. Inquiry-based Learning includes teaching methods built on students' individual knowledge and interests, and emphasizes learning how to learn and how to find out, using both traditional and contemporary media. 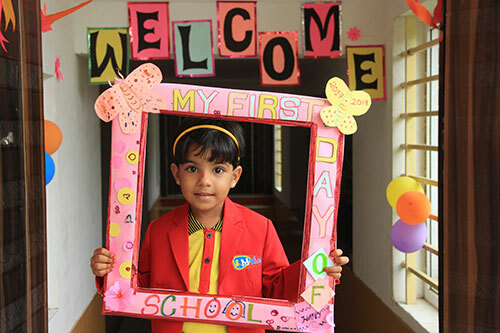 "Located in the lush green ambience, Manchester International School is conducive to educational excellence and brings out the best from every student entrusted to its care. The school maintains and deploys learning experiences sufficient to ensure quality outcomes across the range of degree programs it offers and to achieve other components of its mission. Students in all programs, disciplines, locations, and delivery modes have the opportunity to receive instruction from appropriately qualified faculty." "Had a splendid time visiting Manchester International School, Coimbatore. MIS’ tree-lined campus situated on the outskirts of the city has housed ‘a company of scholars and educationists. ‘Today it’s also home to several of the most comprehensive global art collections with a comprehensive sports arena. I would like to call it as ‘the most beautiful urban campus in South-India.’ The school delivers a top-notch education with well-documented and well-communicated processes to manage and support the students over the progression of their careers that are consistent with the school’s mission, expected outcomes, and strategies."